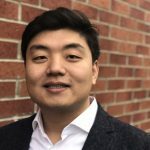 Yuxuan has a background in engineering and has been working on expanding business between UK and China based companies in the fields of R & D, technology transfer, information research, and company consultancy. He has extensive experience in establishing cooperation between enterprises, universities and governments from both UK and China. Within Kelvin Capital, Yuxuan is focusing on developing private equity investment from China and providing assistance to portfolio companies on expanding business in far east countries.